On August 4 I had the pleasure of presenting at the AAEP Summer Focus meeting. The theme of the meeting was equine ambulatory practice. The program chair, Carrie Niederman, developed a great program that mixed clinic material with relevant business subjects. I gave 3 business presentations and one of them was how to use technology to make life easier as a vet. 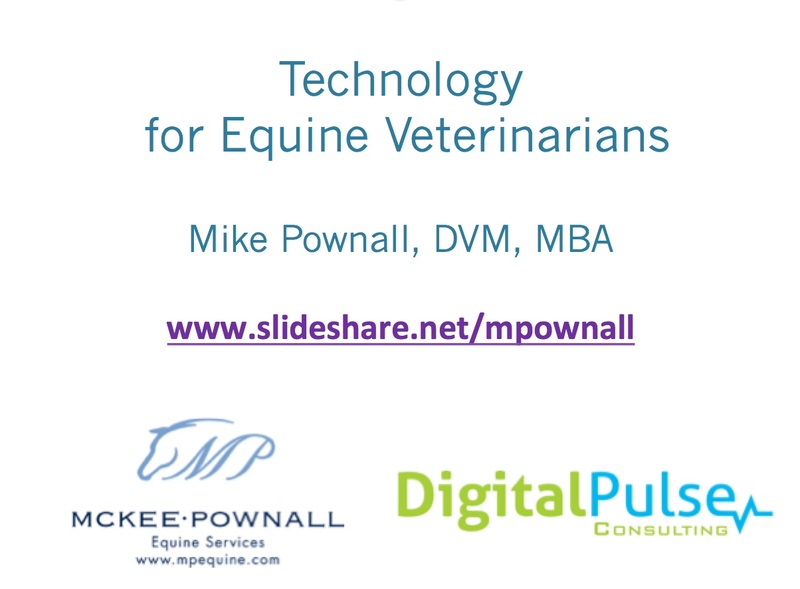 I have uploaded it to Slideshare so follow this link for Technology for Veterinarians have a look at it. If you have a software or App or piece of hardware that you like to use please mention it in the comment section. Hi Mike – take a look at the AI features we have recently added to Metron.